At the Girl Guides Australia Board meeting at the end of November the Board made appointments to the roles of Chief Commissioner and Chair of the Board of Girl Guides Australia. I am delighted to advise that Janet Torney has been appointed as the Girl Guides Australia Board Chair. Janet is an experienced Board Chair and Director with a wealth of experience across the finance and sporting sectors and is a Member and Director of Girl Guides Australia. Janet is a former Girl Guide and comes from a family with a rich history in Guiding. Thanks is extended to Janet for the significant contribution she has made as the Treasurer of Girl Guides Australia for the last five years. I am humbled to announce my appointment to the role of Chief Commissioner. I have been acting in this role during 2018 while we have worked to progress splitting the roles of Chief Commissioner and Chair of the Board. I consider it an honour and privilege to be appointed as Chief Commissioner and look forward to working with Janet as we lead Girl Guides Australia. The term of the appointment for each role will commence 1 December 2018 and is for three years with an opportunity for the Board to extend the role for a further three years as set out in the Constitution. Three of our national volunteer managers are completing their terms on 31 December 2018: Helen Reid – National Program Manager, Jane Boroky – National Learning and Development Manager, and Nicole Young – National Olave Program Manager. The Board of Girl Guides Australia acknowledge their commitment and dedication to Guiding in Australia noting their contribution has been substantial. The Board wish them well in all that the future holds. Welcome to Kate Rumney who has been appointed to the role of National Olave Program Manager commencing on 1 January 2019 for a term of three years. Kate is currently the Olave Program Manager for Girl Guides Tasmania. 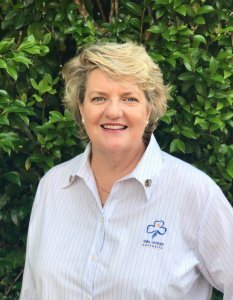 Ann Lilley completes her term as the State Commissioner for the Northern Territory on 31 December and will also complete her appointment as the Director for the Northern Territory on the Girl Guides Australia Board. Ann will be returning to the UK to live permanently early in 2019. The Board thanks Ann for her contribution to Guiding in Australia in particular to the Northern Territory. Ann was awarded a Grey Kangaroo for her services to Guiding in Australia. BRAVO and congratulations! JLS has been running since 1932 as WAGGGS’ flagship international leadership event. It started as an opportunity to promote international friendship and now empowers young women to take the lead in their lives, communities, national organisations and beyond. This event is back in 2019 and it’s bigger than ever. For the first time, the Juliette Low Seminar will connect the world, bringing 1,000 young women together in 19 locations around the world. Girl Guides Australia is excited that we will be hosting a hub in Sydney. Participants will explore how they can actively tackle gender barriers to leadership, and act on their values to bring positive change to their world. If you are aged between 20 and 30 years, please consider applying. Please encourage young women you know to seriously consider this once in a lifetime opportunity. 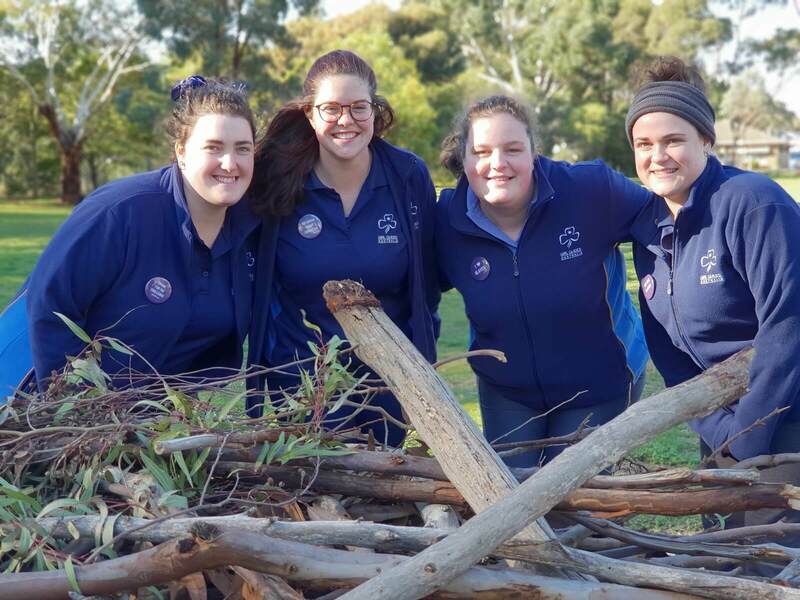 Congratulations to Susan Campbell, Bronwyn Hughes, Melissa Reoch, and Rosemary Waite who have been selected by WAGGGS to attend the JLS facilitator training this month in Uganda. These women will then be allocated to one of the global hubs to work with a team to bring the JLS 2019 program to life. Girl Guides Australia is also seeking applications from members to join the GGA Asia Pacific Conference delegation. This conference, in Sri Lanka in August 2019, is held every three years. Information on both these opportunities is available on the Girl Guides Australia website. Please note applications close on 21 December 2019. Fun, friendship and adventure have been at the heart of Guiding activities across Australia during 2018. Thanks is extended to all who have contributed to so many girls and young women being empowered to explore their world enabling them to reach their full potential. Wishing you a safe and happy holiday, enjoy all the end of year celebrations. ← LICs wanted for State Camp 2019!